Grooms Grotto was founded on the belief that the groom and his wedding party deserve something better than a poor-fitting rental or an overpriced, “off the rack” suit. Our goal is simple: design the perfect suits for your wedding—and have fun while doing it!. Design the perfect look for you and your groomsman for your big day! The Grotto is a relaxed atmosphere where guys can enjoy themselves while getting suited up in custom threads. Schedule a complimentary consultation to start designing your suits starting at only $350! We believe that shopping for the perfect suit should not be a chore. In fact, it should be fun and exciting! We know that it can be tough to find rentals that reflect your style and fit expectations. We also recognize that countless trips to the mall to purchase an over priced "off the rack" suit is not always the best option. 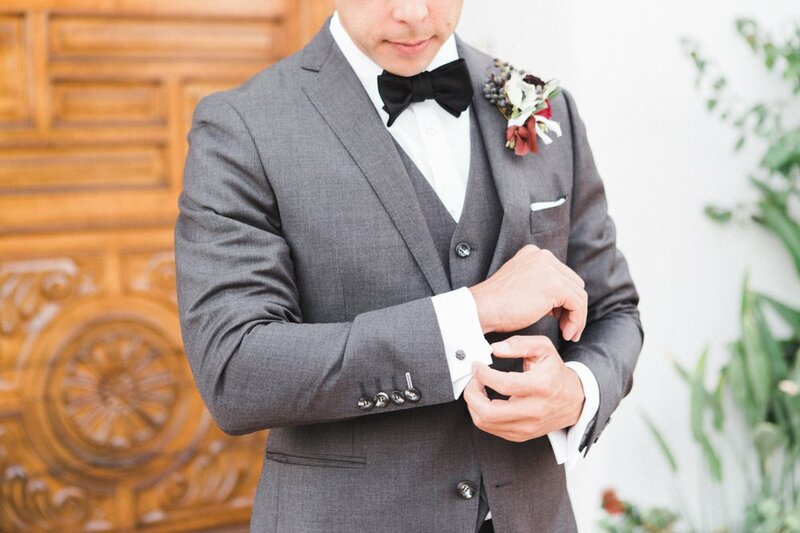 We help you and your fiancé design the perfect custom wedding suit or tuxedo for you and your wedding party. At this meeting we will get to know you and your wedding vision. We will discuss various style, fits, and options available to ensure your wedding party looks dapper! We tend to use the phrase "Experience The Grotto" quite often. This part of the process is geared exactly around that saying. At this point we should have finalized your suit ideas from your previous consultation. The next step is to rally up the groomsmen. Find a day that works best for everyone to come in. The Grotto is all yours at this time. Play your music, celebrate with delicious adult beverages, get measured by our staff, and pick your suit liner. Trust us when we say picking your suit liner is the hardest decision you'll make all day! You might even want to plan on taking an Uber to some of the awesome restaurants and bars that are near by! Once your custom threads arrive back at our store, you will receive an email letting you know it's time to come in and try them on. If by chance we need to make slight alterations, we will have our tailor get it dialed in free of charge.